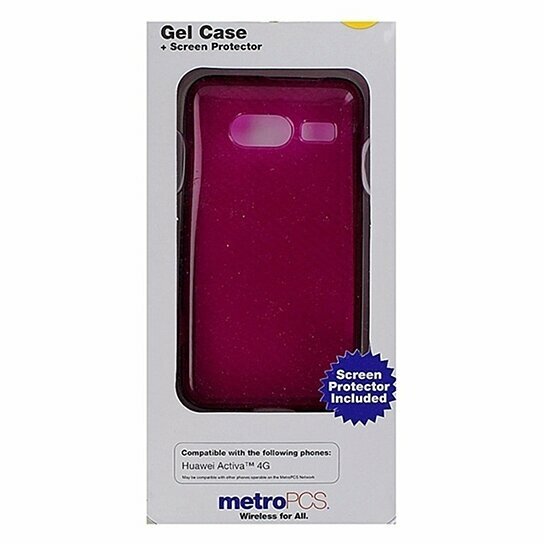 MetroPCS Soft Gel Case for Huawei Activa 4G. All dark pink finish. Screen protector included.